Offering you a complete choice of products which include liquid eye inspection conveyor and turntable conveyor. 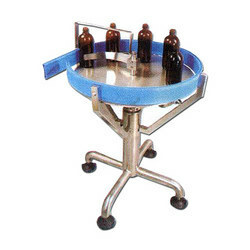 With our expertise in this domain, we are able to offer a highly functional range of Liquid Eye Inspection Conveyor (GMP Model -SMS 19). These are designed in compliance with the international standards of quality hence can easily sustain harsh working conditions. 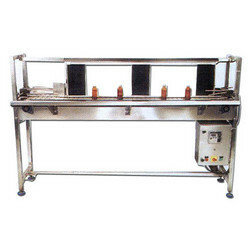 Furthermore, we offer customization on the height, width and size of the conveyor as per the specifications of client. We are leading names engaged in manufacturing, Turntable Conveyor (GMP Model-SMS-21), which helps in aligning the products for feeding on the conveyor. Being sturdy in construction and optimum in quality, these tables can be located on any point in the production line for imparting initial flow. 24" / 30" / 36" / 48"